The Ontario Rabbit Education Organization (OREO) is a registered non-profit organization established to promote the health and well-being of domestic rabbits in Ontario. We advocate that rabbits should be indoor house pets only and not kept outdoors in hutches or for breeding purposes. 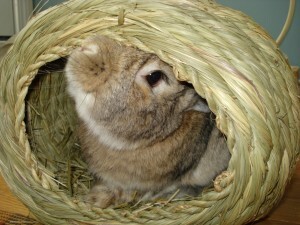 Our goals are accomplished by providing educational resources and support to rabbit caregivers. Please note that we are NOT a rescue organization. If you have a rabbit that you can no longer keep, please contact your local shelter or read our advice on How to Rehome Your Rabbit.